We belong to God. The Lord said, “you are mine”, a statement that reiterates ownership. In this world, we pay a lot of attention to what we own, in fact, some of us work in industries that only exist to manage what people have acquired. Cleaning services, veterinaries and car wash services will not exist without people owning properties, pets and cars respectively. As funny as it may sound, we all have relationship with what we own; and as owners we have an expectation. It is this expectation that drives the relationship. The Bible refers to Gods name as Jealous. In his jealousy, God sent Jesus to set us free from sin permanently and to help achieve his expectation, that is, for us to worship him. Not only is the Lord jealous of us but he is jealous of his name. We are God’s property, the making of the Lord, created and formed for his purpose. When we believe this and it becomes real as the air we breath, then our relationship with Jesus will change forever. Think about the perishable items we own, bought with money but fades with time. Consider the love we have for our spouses, we can’t bear to share their attention and affection. So, the Lord reveals his jealousy in two ways, first, in his longing for us to acknowledge his love for us (worship). Secondly, in following his will for our lives (obedience). The pursuit of God is our answer to his call. We were made to please God. Our hands and fingers to play a tune, our eyes to behold his glory and a heart that swells up, intoxicated with his love. The power in God’s jealousy is to us his protection, and his rebuke, both work like a two edged sword. In his protection we experience security, comfort and peace. And in his rebuke we experience his grace and transformation through his word. Because of God’s jealousy, many are the battles we never fight or even get to know of, the Lord settles the score on our behalf. In the place of intimacy, the Lord ensures his will is inter-twinned with ours to make certain the result – his purpose for our lives. How wonderful to know we have a God that loves us enough to die for our sins. He took the punishment we deserve, all because he could not bear to see us perish. Walk closer with the Lord, through God’s word receive a deeper revelation of the jealous nature of God. 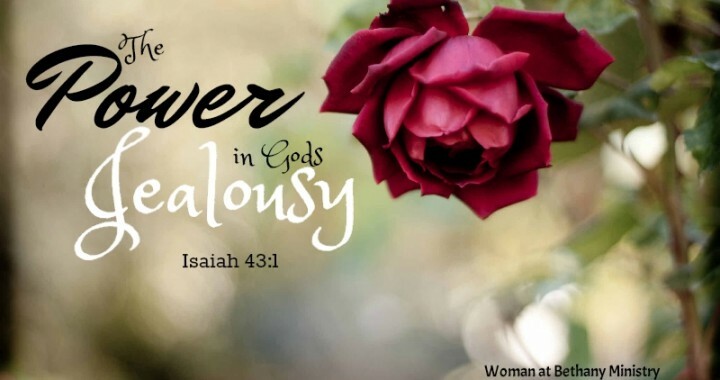 We often do not talk about it, but the truth is, if we bring our hearts in line with the jealousy of God not only would we please God but our relationship with Jesus would be intimate. After all, we belong to him.